Product code: 1357 Categories: Sold Items, Sold Rolex Watches. 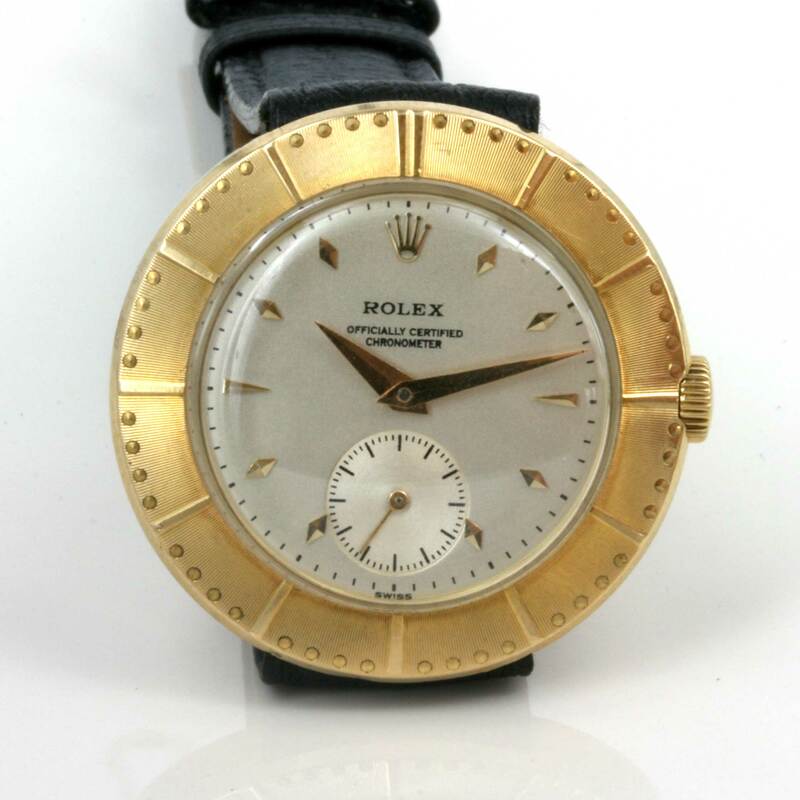 Here is a very unique and rare vintage Rolex watch that will be very hard to find another. The case is the standout feature in this Rolex, as it has the oversized milled bezelm and lugs hidden under the case. 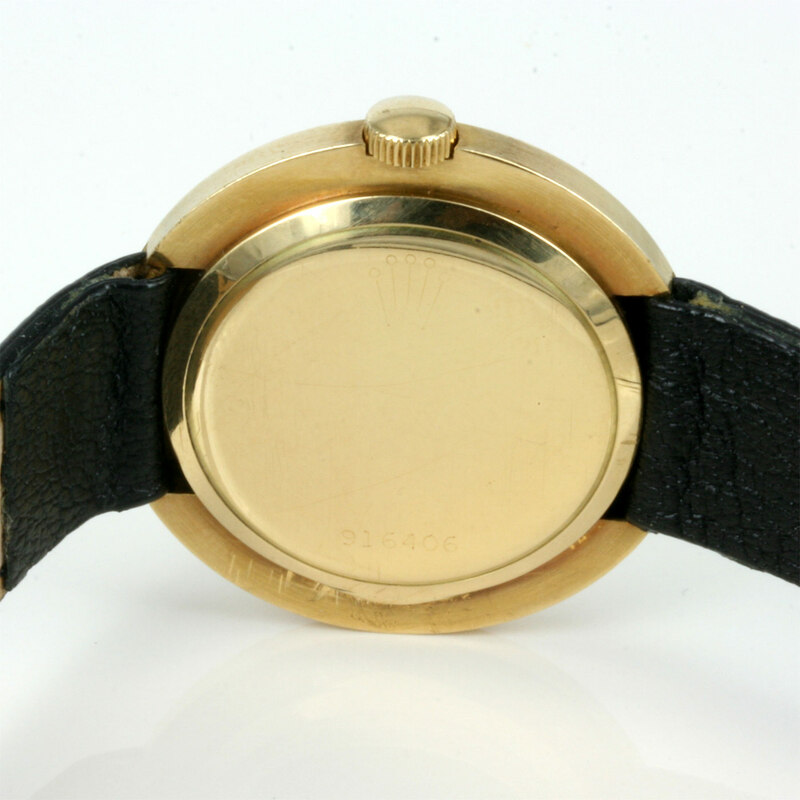 The case is made in 18ct yellow gold and measures 36mm across. The dial has been re-painted to a very high quality finish, and the watch looks so smart on the wrist. Fitted inside with an 18 jewelled manual wind movement that has been flly serviced and runs perfect. Overall, this is a fantastic example of a very rare and unique vintage Rolex really like no other.